Lawyers for former Fox News host Gretchen Carlson say they intend to subpoena Judith Regan to testify in Carlson's sexual harassment case against Fox News CEO Roger Ailes. Regan, a publishing industry veteran who once had a show on Fox, sued News Corporation, a sister company of Fox, for defamation and wrongful termination in 2007. She received a $10.75 million settlement in 2008. One subplot of that suit involved Regan's affair with former New York police commissioner Bernard B. Kerik. According to a 2011 article in the New York Times, Regan accused Ailes of "urging her to lie" to federal investigators. Carlson's lawyers also confirmed Wednesday's reports that other women have contacted the firm, wishing to speak about Ailes' behavior. Since the suit was filed, "many women have come forward to report similar sexist and harassing behavior by Mr. Ailes," the lawyers said. "They will have their own stories to tell should they choose to speak publicly." It is unclear whether the law firm intends to represent any of the women mentioned in the statement. No other women have spoken on the record about alleged harassment in the wake of Carlson's lawsuit. But The Daily Beast and other web sites have printed anonymous claims of sexist and inappropriate behavior by Ailes. A Fox News spokesperson responded to Carlson's law firm with a statement on Thursday: "It's beyond amazing that an opportunistic personal injury lawyer can conjure up so many mysterious and third hand sources, none of whom will speak on the record. Between chasing ambulances and headlines, the truth seems to have been run over. We will defend all of these shadowy allegations and defamations." After Carlson filed her sexual harassment lawsuit on Wednesday, Ailes denied the allegations and said "this is a retaliatory suit for the network's decision not to renew her contract." On Thursday morning Carlson's lawyers returned his verbal volley and said "we challenge him to deny, under oath, that he made the statements attributed to him in the complaint." -- Telling Carlson, "I think you and I should have had a sexual relationship a long time ago and then you'd be good and better and I'd be good and better." -- "Ogling Carlson in his office and asking her to turn around so he could view her posterior." -- "Wondering aloud how anyone could be married to Carlson, while making sexual advances by various means, including by stating that if he could choose one person to be stranded with on a desert island, she would be that person." The focus of Ailes' forceful denial involves the reasons for her firing. Carlson says it was retaliation for rejecting Ailes' "sexual advances." Ailes says it was "due to the fact that her disappointingly low ratings were dragging down the afternoon lineup." Carlson's ratings were, in fact, relatively weak by Fox standards. Executives at Fox were well aware that her 2 p.m. program had been falling behind CNN in the 25- to 54-year-old demographic. However, her numbers were still up year-over-year, like other cable news shows, thanks in part to the election news cycle. 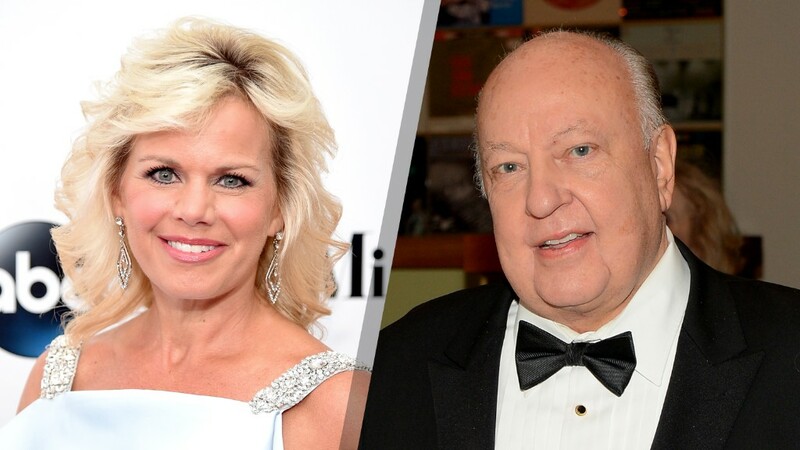 Carlson's attorneys, Nancy Erika Smith and Martin Hyman, said Thursday that "Ailes' claim that Gretchen Carlson was terminated because of bad ratings is demonstrably false." They noted that ratings for Carlson's show were up year-over-year while calling 2 p.m. a "challenging time slot" and saying she was "denied support and promotion" for it. "Despite this, she succeeded and was the number one cable news show in her time slot in total viewers," they said. Indeed, all Fox News programs routinely rank No. 1 among total viewers versus other cable news channels. Carlson's attorneys also took aim at Ailes' assertion that Carlson recently thanked him in her book, in which she called him "the most accessible boss I've ever worked for." Smith and Hyman responded this way: "Ailes does not allow his employees to speak to the press or publish anything without prior approval. Gretchen was chastised for answering a question from a hometown newspaper about her favorite Minnesota State Fair food. In her book Gretchen told her story while trying to keep her job -- knowing that Ailes had to approve what she said."